Starting university is a double-edged sword. On one hand you are excited about all the perks of moving away, studying somewhere new or learning new things. And on the other hand, you’re terrified that university may not be what you thought it would be. We can all agree that this can be a daunting experience, but don’t worry, I’m here to lay down the basic dos and don’ts of having a successful first year at Victoria! DO—ask for help when you need it. The university provides multiple services, which are free, to help you academically, financially and for your overall well-being. Take advantage of student learning workshops and meetings to improve your writing and organisation skills. Workshops are free and are made to help the students who wish to become A grade and PhD students! Forget the stigma around needing extra help and take it! Your academic transcript will thank you. DON’T—leave your readings and assignments until last minute. Most subjects offered here at Victoria are fast-paced and content heavy—it is important to keep on top of your work. You may have gotten away with last-minute essays during NCEA, but here it is different. Your readings especially should not be ignored as these will be the key to your success in assignments, essays and exams as most of the materials you are given to read are examined at some point during your course. Read a few pages a day—making progress over time is better than cramming information at the last minute! DO—take time out for yourself. You will not academically succeed if you are not healthy and happy. Sign up to the University gym, take Zumba classes or sign up for self-defence courses. Keeping yourself physically active will keep your mind and body happy. This also ensures that your mind can take time off studying! Join clubs and take part in things that are away from your studies. 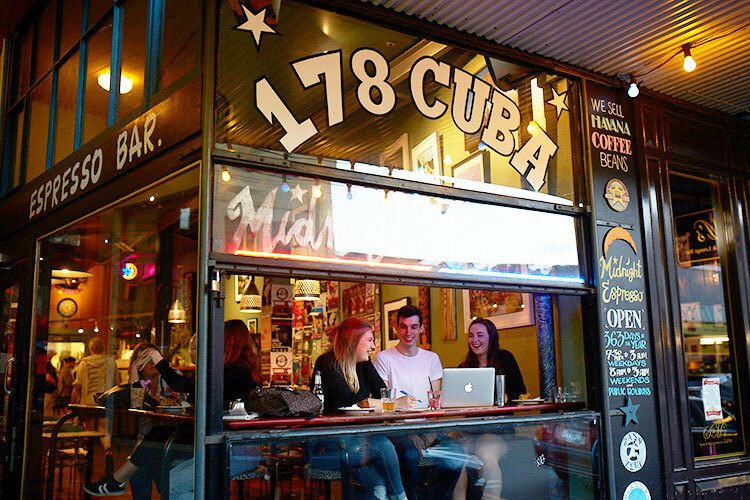 The simplest things, such as watching your favourite Netflix show, meeting with a friend for some dumplings on Willis Street, or taking a stroll along the buzzing Cuba Street, can relieve the tensions of what life as a student will bring. DON’T—miss your lectures and tutorials. Compared to high school, your lecturers and tutors will not chase you up for late assignments or missing classes. It is your responsibility to ensure your academic success at Victoria. Taking time out for yourself is important—but ensuring that you find the balance of this and study is equally as important. Create a monthly planner or invest in a diary—this will help you keep track of classes, assignments and exams. You can space out your workload and have plenty of room for ‘me time’. DO—remember to take everything in stride and at your own pace. There will be ups and downs over your course of university but remember to ground yourself. Work hard, play hard but also understand that things may not always go your way. Good luck for your year as a Victoria student! And remember that your academic transcript does not define your worth as a person. Komal Singh is a second year arts and law student and is also a Campus Coach.